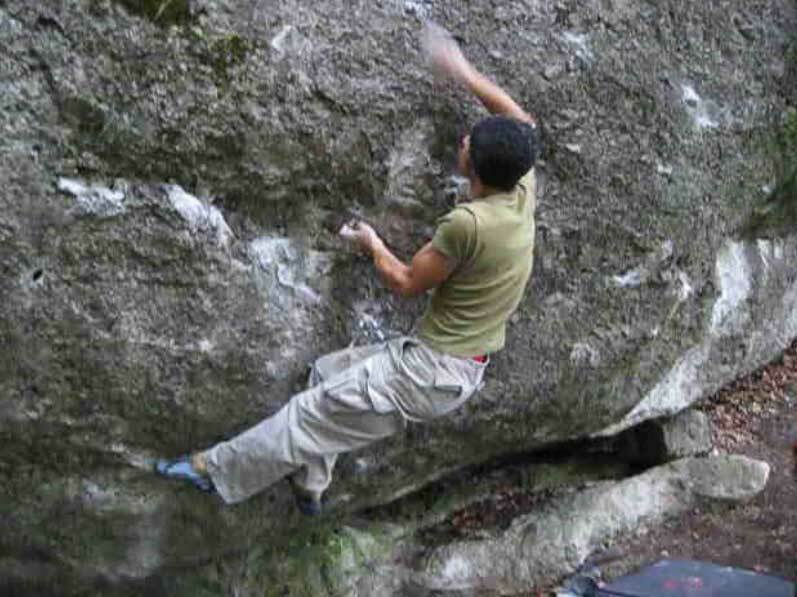 The first video features a problem called Chalk House, 7c+. I went out the previous night, that's why I am still wearing this ridiculous shirt, and maybe that's why I messed up the flash attempt. But, I guess that's just a lame excuse. The reality is, that it's hard, so after all I was quite happy about the quick send. 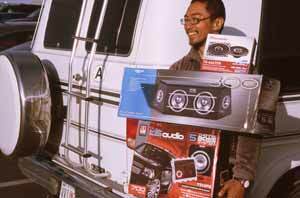 Oh, and the video was shot on Berni's cellphone, so never mind the bad quality. 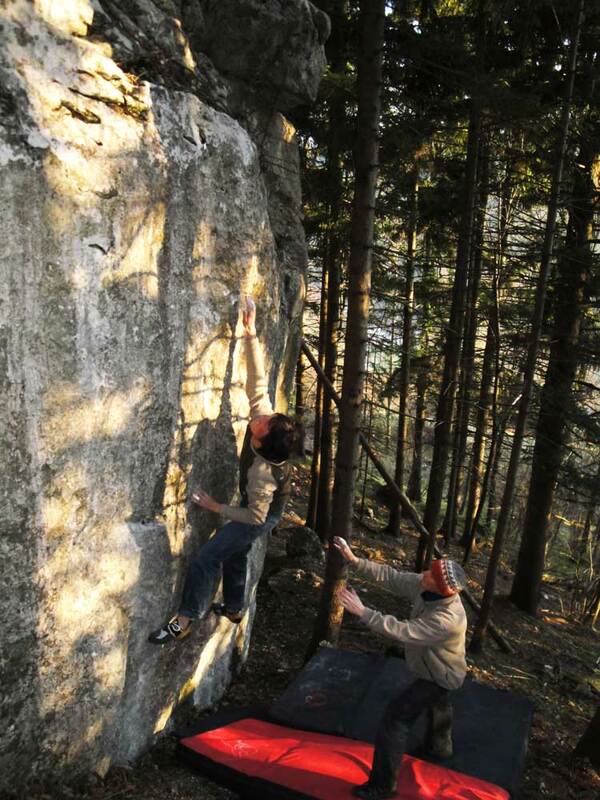 The second video is one about Fixe Anstellung, 7c+ at the Hirschwände. Originally rated 8a/+ "Fixe Anstellung" used to be one of the harder problems around Vienna. After having seen a few quick ascents its grade dropped to something around 7c+. 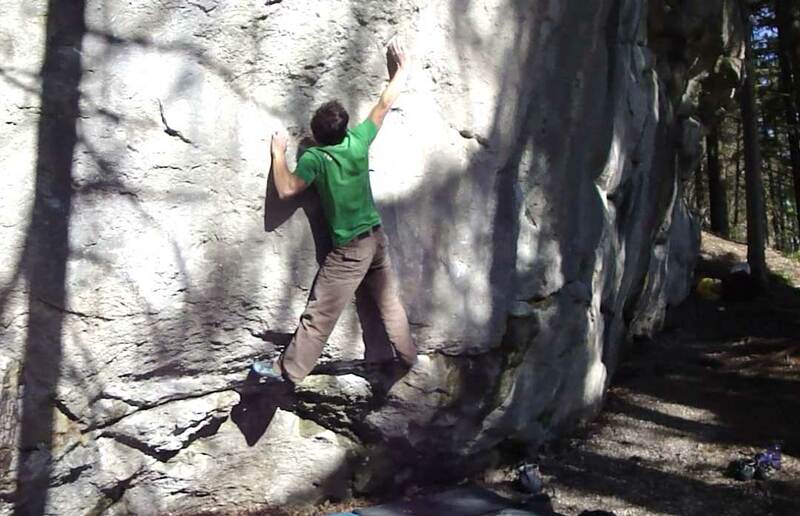 A low angle problem on small slopy holds! Thanks to Flori who gave me the beta and made the flash ascent possible! Then there is a 7b+ called Vego Knakworst. Funny name, but cool problem! 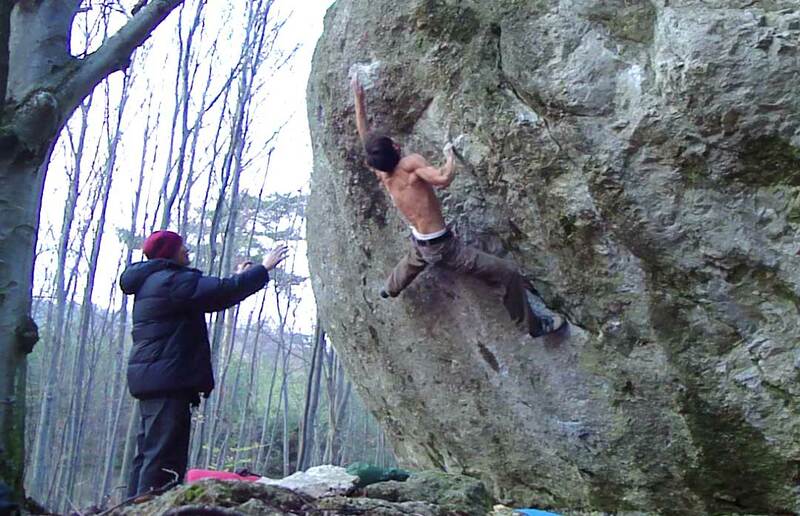 Die Antwort, 7b+, in my opinion is one of the best problems at Merkenstein! Then I climbed an eliminate problem just to the right of Base Jumper, in the Totem Sector of Merkenstein. 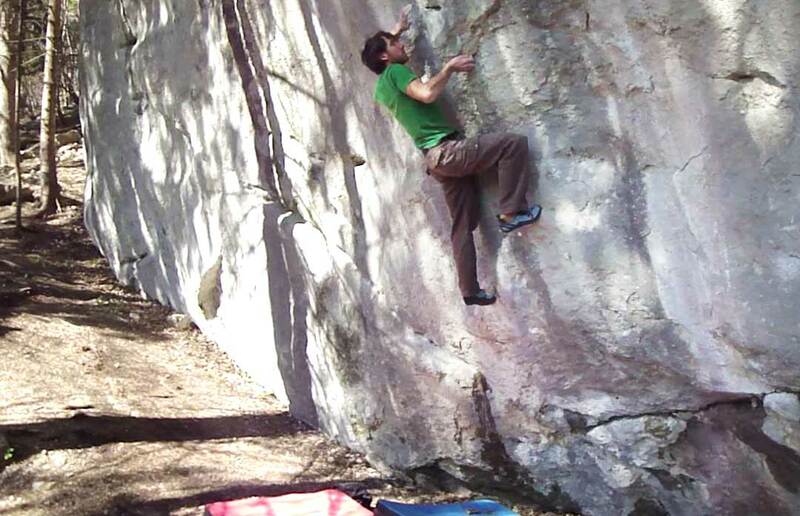 Who knows, maybe it was a first ascent, but for sure a fun 7a+ that I refer to as Warmup Variation. Above: Die Antwort, 7b+. Bellow: Warmup Variation, roughly 7a+. Note that I don't traverse left into the jugs but swith my left hand into the undercling (crux) making it a more direct line.